Newly developed by Sony, the multi BA system enables musicians to not only feel the rhythm and pitch but also detailed nuances of their live performance. 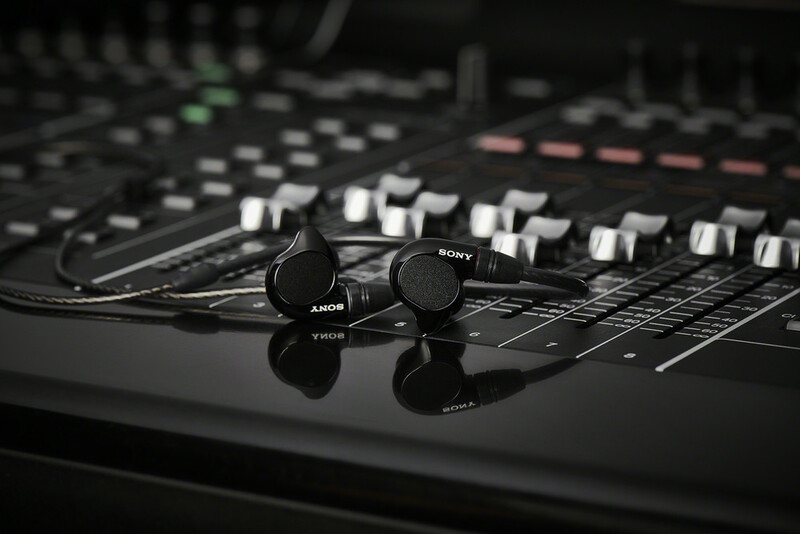 With Sony’s unique driver design, these headphones have the ability to reproduce tone that is true to the original sound, allowing musicians to monitor the sound balance of their own performance on stage. The IER-M9’s Penta BA driver system (5 BA / 5 way) includes a super tweeter while the IER-M7 has a Quad BA driver system (4 BA / 4 way). Since the sound quality of a driver unit is critical and consistency of sound signatures between BA units is important to harmonise tonal balance, Sony developed each driver unit in-house based on years of expertise. The Sony-developed BA unit has two major structures, a direct drive structure or a T-shaped armature. Sony has developed the direct drive structure which sees the armature efficiently drive the diaphragm directly thus delivering oscillation of the armature linearly. The T-shaped armature has a symmetrical vertical motion delivering linear response. These two structures bring high definition sound required for monitor use. A magnesium alloy inner housing holds the BA units firmly in place and eliminates unnecessary vibration for low distortion and resonance to deliver crystal clean sound without sound compromise. IER-M9 and IER-M7 has an outer housing moulded sound path. The sound path realises ideal frequency response with its short and wide sound path that suppress peaky acoustic resonance. Sony’s dedicated audio grade film capacitors for crossover network circuits are used in the IERM9 and IER-M7 to deliver a refined sound with low distortion. 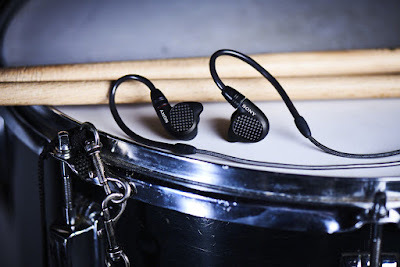 Features which ensure isolation and stability Using accumulated ear shape database collected over decades of research, the outer housing shape is designed for isolating noise and stable fit. For optimal sound isolation, the housing has a firmly closed noise blocking structure that shut out external sounds from the eardrum. 13 variations of ear buds (six variations of triple comfort ear buds and seven variations of hybrid ear buds) and pre-formed ear hangers hold the headphones firmly. The IER-M9 allows artists to discover a new realm of musical expression by faithfully reproducing even the most subtle musical nuances, bringing out sounds for more precise monitoring. The IER-M9 features a Super Tweeter with magnesium alloy diaphragm, Penta BA system in a magnesium alloy inner housing and a housing-integrated sound path made of a light and durable magnesium alloy outer housing. The newly-developed super tweeter in the IER-M9 features a magnesium alloy diaphragm for rigidity and high internal loss, gold plated terminals and silver coated copper voice coil to raise the driving force of the super tweeter. These materials work in symphony to faithfully reproduce sound without losing a micro signal and ensure low distortion for rich yet clean sound. The IERM9 offers a precise reproduction of higher order harmonics with an optimal sound design allowing the artists to discover a new realm of musical expression on their stage. 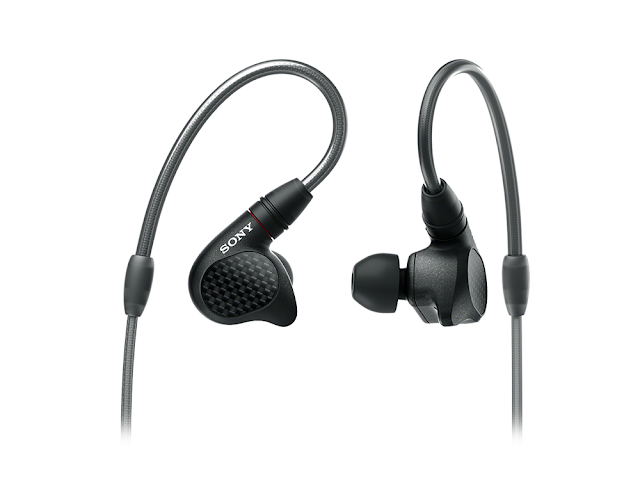 The supplied cable features natural silk thread as an insulator and damper against vibration and touch noise. Utilising a non-magnetic material as undercoat for the gold plating of the plug and terminal ensures the natural flow of music and clean sound. Silver coated OFC (Oxygen-Free Copper) conductor helps to reproduce detailed sound without loss. A 4.4mm balanced standard cable is also included. Promising a sound that improves the performance of musicians, the IER-M7 features Quad BA system, a magnesium alloy inner housing, a brass sound path and high quality network circuits. High sound quality balanced connection is achieved with the supplied 4.4mm balanced standard cable or the use of similar optional cables. Silver-coated OFC (Oxygen-Free Copper) is used in both supplied cables. 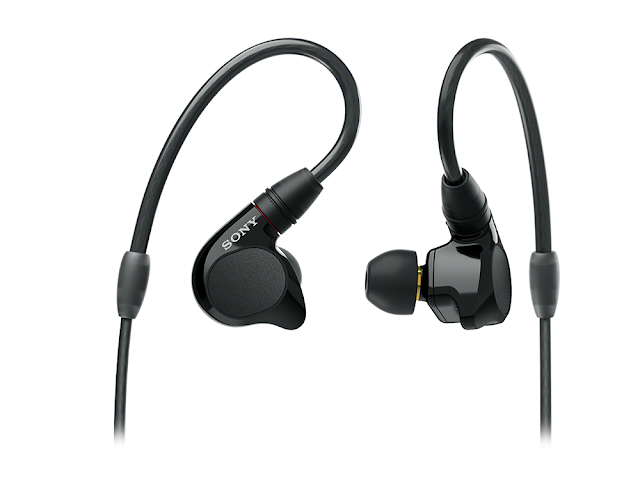 The new premium in-ear stage monitor headphones IER-M9 and IER-M7 from Sony will be available from September 2018 at HK$9,490 (1050 euros) and HK$5,190 (570 Euros), respectively.